"Cliff" Polo Cap constructed from classic polo cap crown with minimalist leather frill and detailed with a climbing prusik rope across the brim. It's the easiest way to show your outdoor soul in your urban environment. 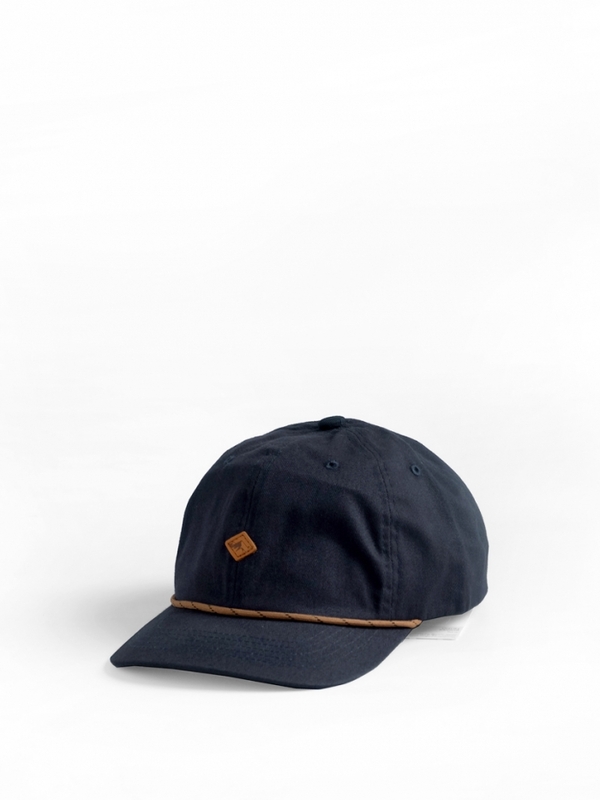 Built with a sturdy twill body and adjustable plastic snapback. Fabrics: Cotton twill canvas crown, embossed leather emblem, plastic snap buckle.